Gitzo has announced a new tripod scrappage scheme which gives those who trade in their old gear up to £100. 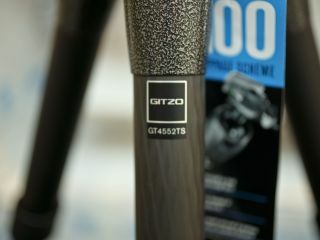 The offer is available to anyone trading in old tripod, monopod or head (or combination thereof) directly through Gitzo. It has to be an extending tripod/monopod to qualify, meaning Joby Gorillapods etc don't count for the offer. When purchasing a like-for-like tripod, monopod or head purchase, customers can send in an old camera support and proof of purchase of a new Gitzo product to receive the cashback. What Gitzo does with the old goods is interesting. If it is another Gitzo or Manfrotto product, it will be donated to worthy causes, while those manufactured by other brands are used for testing. We would like to hear who you think is worthy of a free (second-hand) tripod, and we will work together with Gitzo to choose the recipients. You can let us know who you would like to nominate in the comments box below, or via our Facebook page. The up to £100 scrappage allowance covers £20 for a monopod, £30 for a tripod head and £60 for a tripod (legs only). If you combine a tripod and head (kit or individual items), the allowance raises to £100. The scheme runs until 31st August 2012.